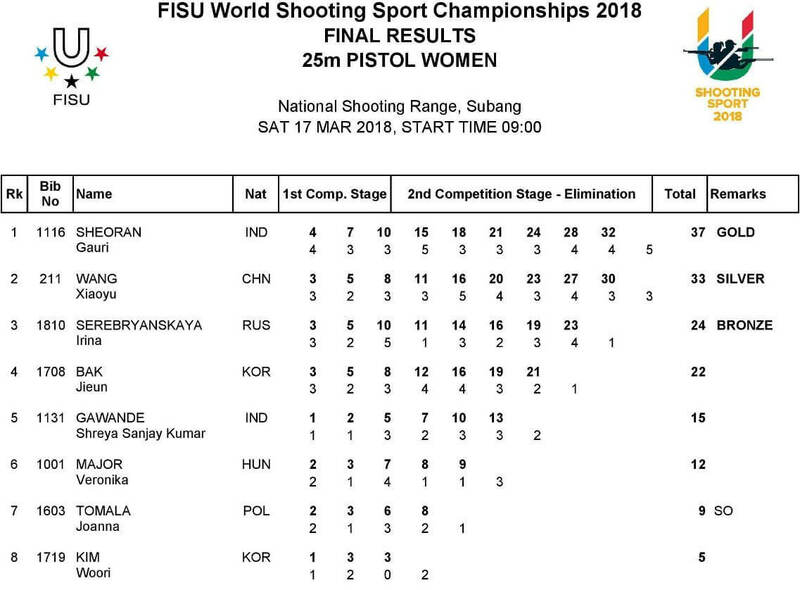 Gauri Sheoran at the 7th World University Shooting Championship. 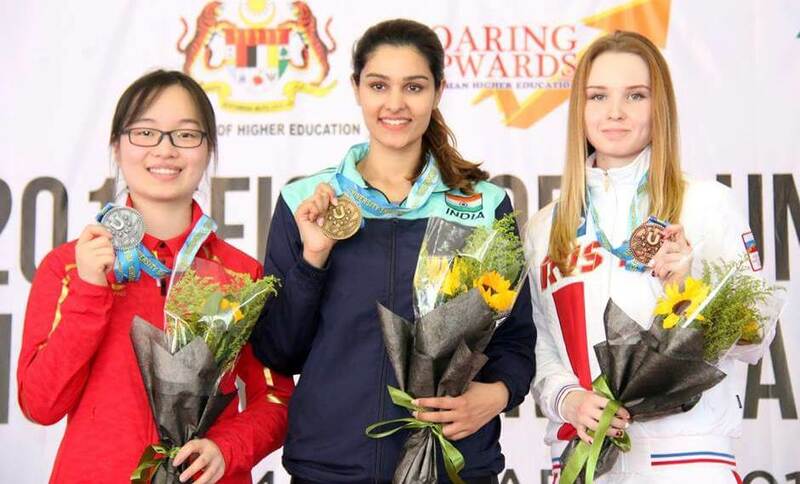 Gauri Sheoran won a gold medal in Women’s 25m Pistol at the 7th World University Shooting Championship in Kuala Lumpur, Malaysia. 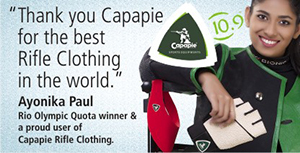 The 20-year-old Gauri led throughout in the finals, winning the gold with a margin of 4 points. The silver was won by China’s Wang Xiaoyu with a score of 33 while Irina Serebryanskaya of Russia took the bronze with 24. From left: Wang Xiaoyu (China), Gauri Sheoran (India) & Irina Serebryanskaya (Russia). Shreya Gawande also qualified for the finals but finished 5th. Although Shreya’s qualification score of 573 (Precision 289, Rapid 284) was two points better than Gauri’s 571 (Precision 288, Rapid 283). The third Indian in the event, Abhidnya Patil finished 28th with 550 (Precision 276, Rapid 274). The team of Shreya, Gauri and Abhidnya shot a score of 1694 to win the team bronze for India. The gold was won by Korea with 1709 while Poland took the silver with 1702. 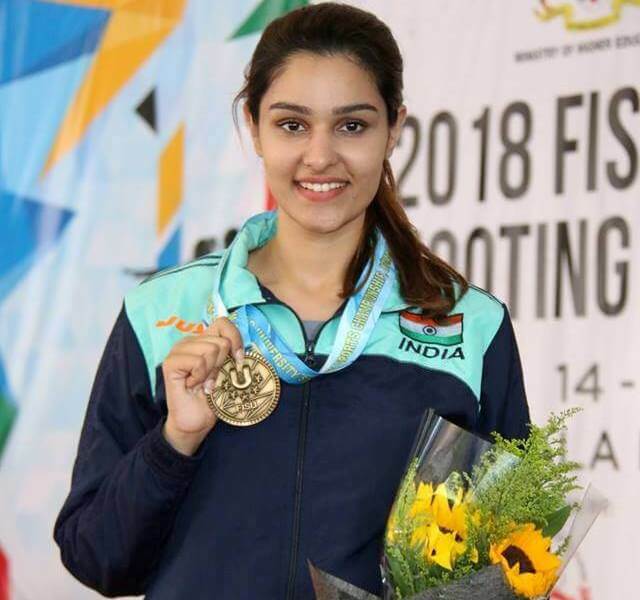 Last year, Gauri had won a team bronze in 25m Pistol at the Junior World Cup in Suhl and a junior gold at the International Shooting Competition in Hannover. In 2013, Gauri had won a junior bronze in the same event at the Asian Shooting Championship in Tehran. Women’s 25m Pistol: 1. Gauri Sheoran (India) 37 (571); 2. Wang Xiaoyu (China) 33 (578); 3. 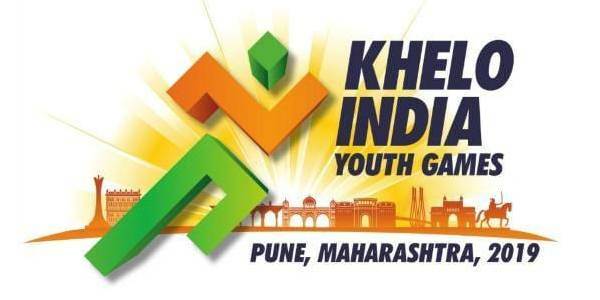 Irina Serebryanskaya (Russia) 24 (575); Shreya Gawande (India) 15 (573); 28. Abhidnya Patil (India) 550. Women’s 25m Pistol Team: 1. Korea (1709); 2. Poland (1702); 3. India (1694).